This entry was posted in Africa, America, Book reviews, By country, England, Germany, Russia, Scotland, Wild card! by Mrs P.. Bookmark the permalink. You had some excellent reads, Mrs. P.! 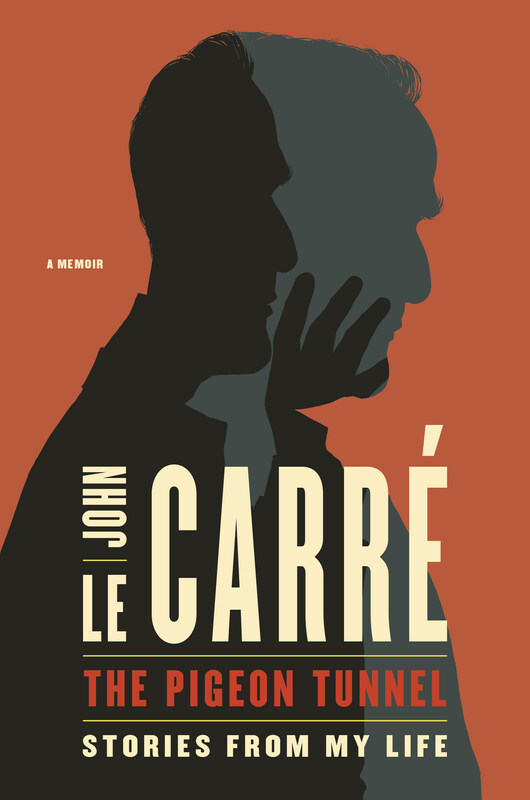 Of course, with Mina and le Carré, it’s hard to go wrong, don’t you think? So glad these lived up to your expectations. I’ve been listening to The Pigeon Tunnel, which for me, is clearly a mistake. I find I can’t capture the acuity of his observations, nor can I catch the nuances. This is a memoir that I want to read, line by line, grabbing everything. It’s purely fascinating stuff. Can’t wait to get a print copy. Also, can’t wait to read A Small Town in Germany and The Little Drummer Girl. 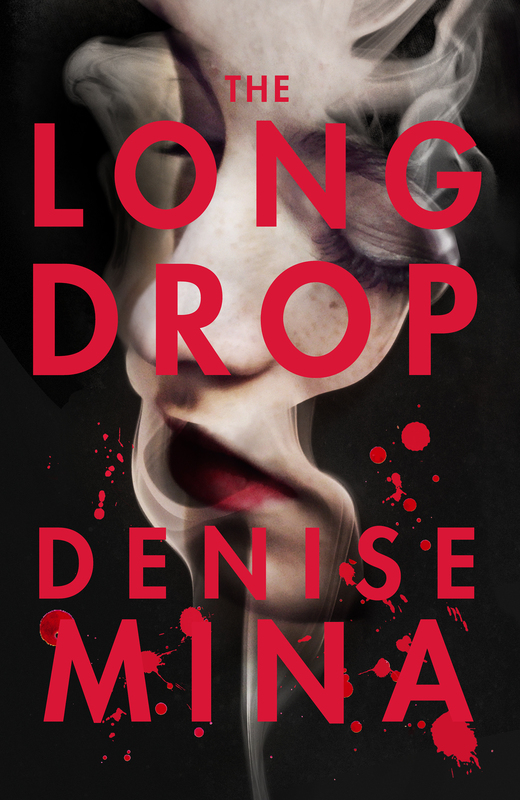 I have not read The Long Drop by Denise Mina — yet. I have read and liked every novel she wrote, except Deception. Many of them are excellent. I wish she’d return to Alex Morrow’s investigations. 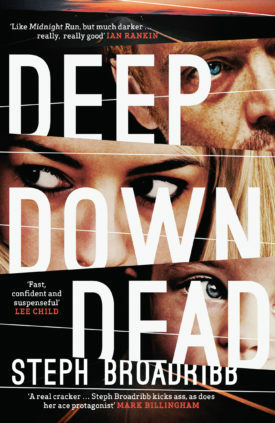 The thriller sounds good for a summer read. Snappy dialogue, light story, all good for the summer. And Le Carre! What shall I do? I haven’t read any of his books, although my father was a fan. And I liked the film of The Constant Gardener and the TV episodes of The Night Manager, which had an incredible cast, too. I’d like to start with reading The Constant Gardener or else reading The Pigeon Tunnel. It sounds delightful. I wish my father could have read that book. But I may do it — so the novel or the memoir? I feel like blowing on those flowers we used to blow on when we were kids to make this decision. The humor of his stories is a big draw. Hello kathyd! Thanks for your comment. If you’re looking for a ‘classic’ le Carre to read, I’d recommend Tinker Tailor Soldier Spy. I can never quite manage to pick a favourite, but this one would certainly be in my top 5. Hmm, well, I saw The Constant Gardener movie and I read about the real incident that sparked Le Carre to write the novel about it. Whatever I can get from the library, I’ll try. No cost, no loss. Olivia Coleman, smart, capable, lovable, several months pregnant. Love her. Coleman and put in a U.S. blonde actress. Anna Gunn was good, but she wasn’t Coleman. she was told to “stop the pregnancy walk!” Hilarious. How does one do that? I’ll watch her in anything. get lots of iced tea, frozen yogurt, chocolate and a ton of books by a lake. Can I arrange that in Manhattan? Best wishes on your summer reading. I like the idea of just going with whatever the library can offer you – fate can decide! I did enjoy The Night Manager adaptation, though I preferred the novel’s ending to the one in the series…. Yes, absolutely agree that Hugh Laurie was a fabulous and very plausible baddie, and as for Coleman, like you, I’ll watch anything she’s in. One of my very favourite actresses. So there’s another £5 you cost me, as I had to buy a copy of Le Carré’s book! The sample with the Alec Guiness story sold me. Ha! Wonderful isn’t it? Enjoy! Mrs. P — I enjoyed your comments on the Pigeon Tunnel and found it fascinating myself. Le Carré’s description of the filming of The Spy Who Came in From the Cold was entertaining, with the Richard Burton – Elizabeth Taylor melodrama playing out on the edges of the set. Burton and Taylor were certainly two epic (and somewhat tragic) characters. I agree with your comment about Le Carré’s insightful treatment of Cold War history in West Germany, and his anecdotes show a bit of the political struggle for the soul of that country which took place in a somewhat understated way in those years. For those of us in the States as well as many other places, the daily news provides an object lesson in the importance of those battles. . . I also have to mention Le Carré’s description of his complicated family dynamics, which cannot have been easy to write, but which he handled with sensitivity and I think honesty. Thanks, Robie. Yes, lots of food for thought in relation to the political landscape today. And I’m really glad you brought up the chapters on le Carre’s complex childhood and family dynamics – they make for quite remarkable reading. I am so much with you on the Mild Peril, Mrs P. I still sometimes have to cover my eyes when watching crime dramas on the TV. I also love Kathy’s idea: so much reading time is wasted in shopping, cooking meals and so on. I must put The Pigeon Tunnel on the TBR list. I don’t know how the novel ended of The Night Manager since I didn’t read it. her character, whom she said was entirely unpredictable every minute. But what an acting job! surprising. And for $6,377 saved on the cladding! Read a lot of comments by Labour MPs that were quite good and honest. Hope this shakes things up for the survivors and also other social housing residents who deserve a lot better. The Grenfell fire is an absolute tragedy, not least, as you point out, because it could have been avoided with just a tiny amount of extra outlay. This is a story that will run and run, as more of the details about the decision-making processes come out. It’s possible that charges of corporate manslaughter could be brought against those responsible. I think the fire has also served as a wake-up call about the human cost of wide-spread government cuts to local council and public services funding. Lots of other tower blocks have now been found to have the same cladding, so this is definitely not a one-off case. I hope those responsible are held criminally responsible. At least 79 people, including children, died. And many people suspect a lot more perished. To save money, and a small amount at that, and to people at such risk is criminal. The New York Times ran a 2 1/3 page story on this on Sunday. The theme was cost-cutting vs. human life. It said that pro-business politicians decided that cost-cutting was worth the risk of using flammable building materials! Wow! And I believe the Kensington and Chelsea Borough Council had a surplus of funds. I’ve not read Denise Mina but I have her trilogy – Garnethill. I think I’ll start there to see how I like her. Those books were recommended years ago. I’ve read the first one in the Garnethill trilogy and really loved it (great protagonist). Must get hold of the others! The Garnethill trilogy is great! And, yes, a great protagonist. Too long ago to mention I studied in Glasgow for 3 years and loved my time there. It wasn’t too long afterwards I first read Denise Mina. I didn’t realise the Garnethill Trilogy was a trilogy and read them in the wrong order! I still enjoyed them enough to read everything she’s written since then (except her latest). I reread the Trilogy recently (in the right order) and was still impressed by it. Her style and subject matter has changed, perhaps softened, over the years – the Trilogy is a ‘raw’ read- but she’s still a must-read for me. Thanks, MRo. I guess re-reading crime novels a few years down the line is the ultimate test, and I’m glad to hear the Garnethill Trilogy held up for you. I must catch up on the second two, but will perhaps back-track to the first as a starter. Some of Denise Mina’s Alex Morrow series are excellent. She is a must-read for me but I had The Long Drop and just couldn’t get into it, so back to the library it went. Ah, that’s a shame. But so it goes… What’s stood out for you on the crime front recently? I read, listened to and watched an awful lot of le Carre last year (about this time) whilst off work following a bike accident. I can definitely recommend the biography and I’m looking forward to reading the pigeon tunnel this summer. I’ve also got the audio book which is narrated by the great man himself. Also did you catch A Perfect Spy? Playing on Radio 4 on Sunday. Ouch to the bike accident, but hooray for lots of le Carre listening and watching time. Hope you’re fully recovered now. Thanks for alerting me to A Perfect Spy. I hadn’t realised it was on. (The link for anyone who would like to catch up is http://www.bbc.co.uk/programmes/b08wmwyy – available for another 20 days or so). I think A Perfect Spy is one of his best.